Sorry, this is not available right now... I'm currently working on a revised edition! New Photographers, Learn How to Take Great Wedding Pictures! 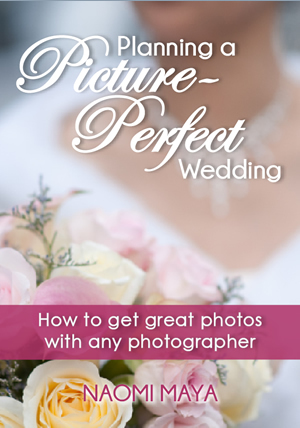 It's like a photography how-to book, but way simpler (and focused nearly exclusively on weddings). 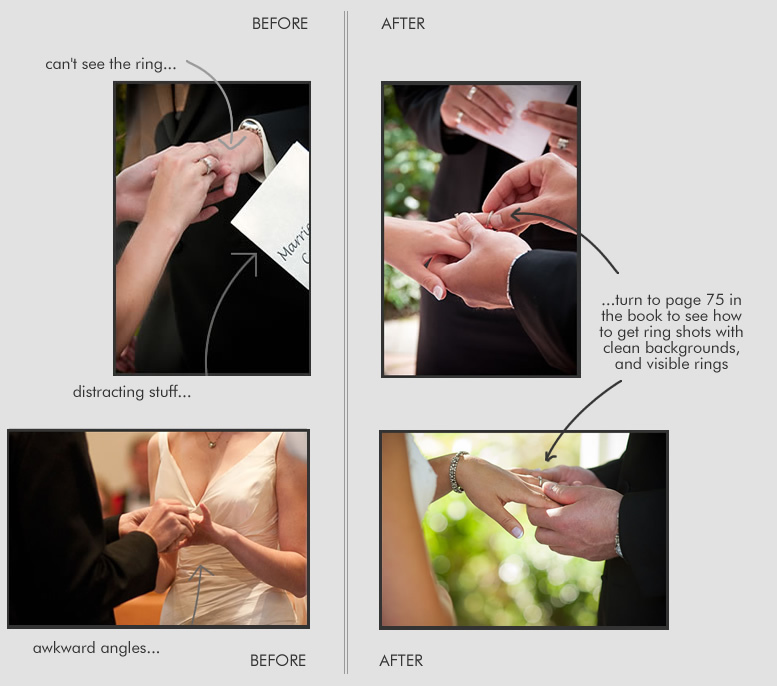 It's a guide on how weddings work and what people will expect from you. It's about learning to take the kind of photos that people like. It's about knowing your stuff, so you don't screw up someone's once-in-a-lifetime event. 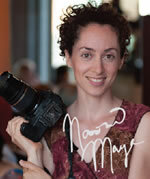 I started out by shooting two free weddings for friends, and went on to charge a respectable price in one year. I shot 18 weddings that year. In my second year, I booked 33 weddings in just the summer months. Here's proof of my wedding shoots. Click here to see all my client's galleries, here to see my wedding portfolio and raves, and here to see where I go spend my off-time when I'm not shooting weddings (Spain, Costa Rica, Mexico, Germany...)! I took a lot classes and learned a lot by trial and error in my first year, and I also drew on previous experience from high school photography, but when it all came down to it, nothing was as important as one particular thing I figured out very quickly. Above all else, you have to make the bride happy. I'll show you how to do that in all sorts of situations. I've spent 18 months putting together this book full of real weddings and real examples of what works and what doesn't work. It's taken from my first few years as a photographer (and over 60 weddings), and all the mistakes I made. What's more important, is that you can avoid these mistakes without actually making them yourself. By delivering what the bride wants, you can quickly build a gorgeous portfolio full of images that will easily bring you more paying customers. The secret to success is by making her happy... and how to do that is revealed in a simple 3-step system in my book. Once you do that, booking clients will be easy and you'll actually be able to choose which customers you want to work with since you'll have plenty to choose from. Once again, this is NOT just another photography "how to" book - there are plenty of those out there. 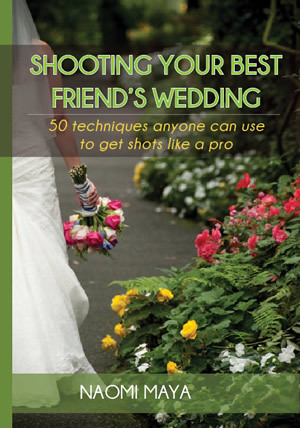 If you are a complete beginner, you will probably also need a book on operating your camera... but this will be a good place to start learning about the wedding side of things. It is PRECISELY about what you need to know about shooting weddings; and how to take photos that will make the bride, groom and their families love the images. button removed, book under revision! You have nothing to lose with my 90-day free trial. 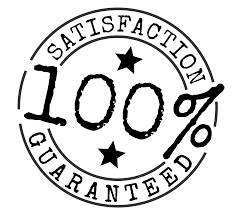 If you aren't completely satisfied for ANY reason, you'll get 100% of your money back. No questions asked. Because I think it's very important to create a team between the photographer and the couple, you'll also get my book "The Bride's Handbook for Getting Great Wedding Photos" with your purchase. When your clients plan their weddings around great photo opportunities, it makes your job that much easier (and your portfolio that much better)! Give this to your clients, and it will help them with planning details. Or, at the very least they will be better prepared for the photos. For more information, check out the Planning a Picture Perfect Wedding.